Want to feel better, look better, and live healthier? Live every day feeling more energetic, clear-minded, and higher on life? Are you a young person who wants to stay youthful and healthy, even when you’re old? Are you an older person who wants to feel younger? Do you have medical issues such as brain pains, heart hurts, joint aches, or gut upsets that keep you from enjoying life to the fullest? If you answered yes to any of those questions, Transform 5 is for you. The T5 plan is just what the doctor and health coach ordered. Five steps in five weeks that will transform your health and life. Patients often ask me, “Doctor, what can I take?” Wrong question. The right one is, “Doctor, what can I do?” Transform 5 gives people the skills to take charge of their health and lower their pill bills. The time-tested T5 program gives every transformer a quick mental and physical “feel better” result. That’s your motivation to keep progressing through the five stages of change: learn it, do it, feel it, crave it, share it. Make one simple change, feel one healthful result, and you’re hooked! For more than 20 years, author William Sears’ advice has been trusted by millions across the country, and around the world. Now, along with his daughter Erin, a Health Coach and fitness instructor who went through her own transformation, losing 70 pounds and radically improving her health, Sears turns his science-based guidance to creating better health for everyone. 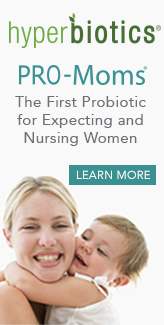 Naturally, people of different ages will see the value of T5 differently, but T5 is preventative medicine. No matter how young and healthy you are, transform now. It’s never too early to take charge of your health. From its lively illustrations to motivating transformer testimonies, T5 is fun to read and fun to do—which means you’ll stick with it. Your mind and body will thank you. The Neuroscience Of Spirituality & Religion | William Sears, M.D. 5 Blood Sugar Rules To Live By | William Sears, M.D. Transform Your Mind Body Dr. William Sears Erin Sears Basile | Which Way is Life? Dr. Sears and Erin introduce The T5 Wellness Plan! 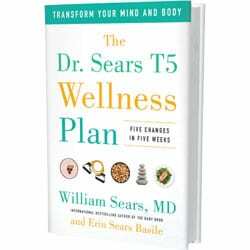 Transform Your Mind and Body in 5 Weeks w/ Dr Sears T5 Wellness Plan!